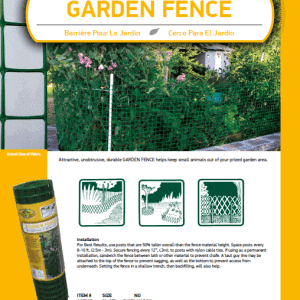 Garden Fence is attractive, unobtrusive & durable. 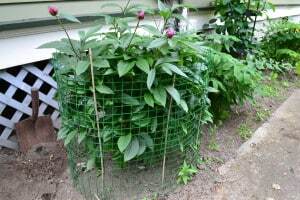 This form of fencing helps keep small animals out of your prized garden while offering support and an aesthetic barrier. For suggestions and more information, please see Product Description below. 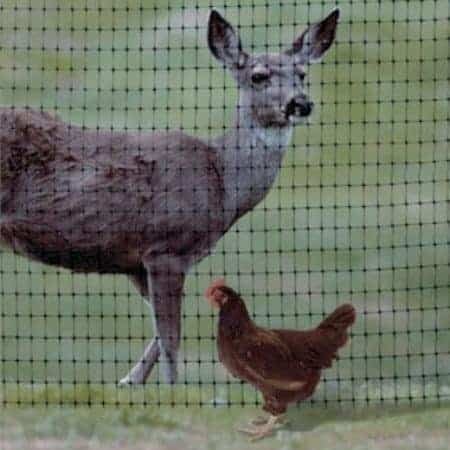 Please see Deer & Poultry Fencing and/or Utility Netting for products with similar applications. 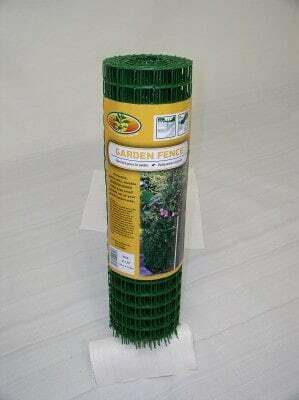 For discounted Garden Fence, please see Garden Fence Odds & Ends. 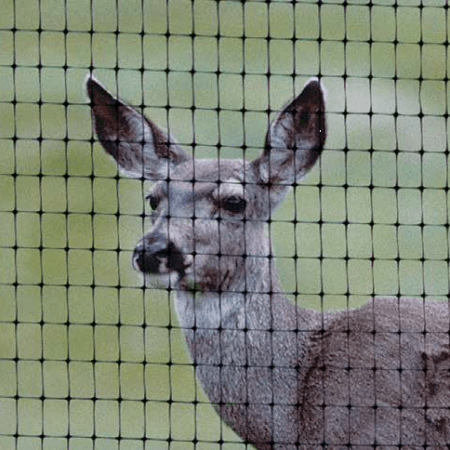 Attractive, unobtrusive, durable Garden Fence helps keep small animals out of your prized garden area. 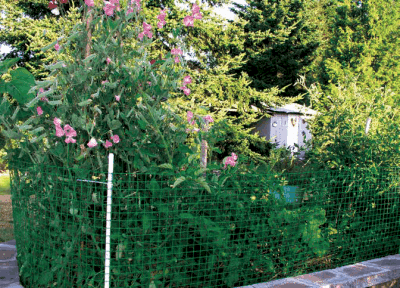 For best results, use posts that are 50% taller overall than the fence material height. Space posts every 8-10 ft. 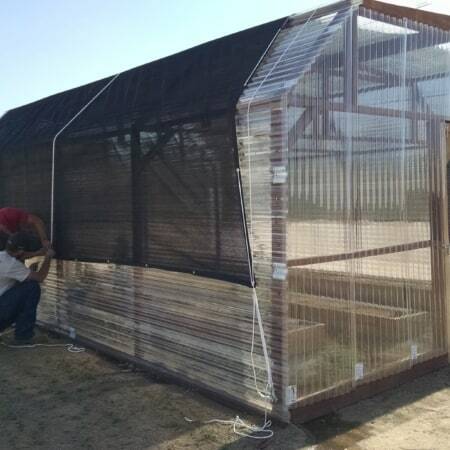 Secure fencing every 12″ to posts with Zip Ties. 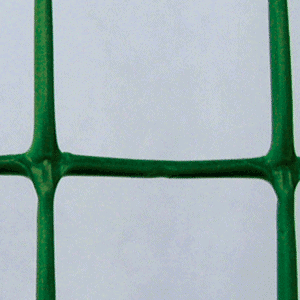 If using as a permanent installation, sandwich the fence between lath or other material to prevent change. 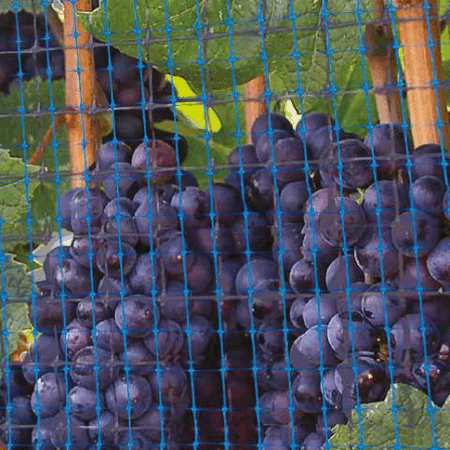 A taut guy in, such as Poly Line, may be attached to the top of the fence to prevent sagging, as well as the bottom to prevent access from underneath. Setting the fence in a shallow trench, then backfilling, will also help. 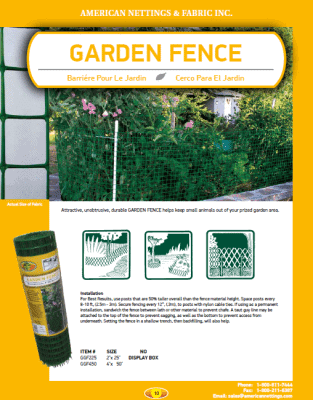 With openings of 5/4″ x 9/8″, Garden Fence creates an ideal barrier for small to medium sized pests. 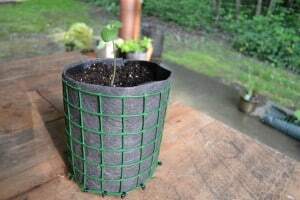 Garden Fence is easily cut with shears and can be made into container pots. 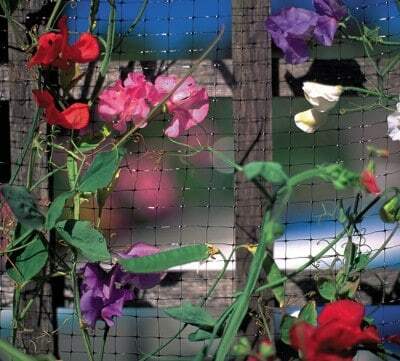 Garden Fence is a great way to separate gardening areas, while being visually pleasing. 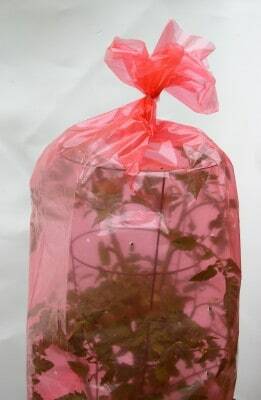 It can be used to surround and separate flower beds, tree bases or other areas. 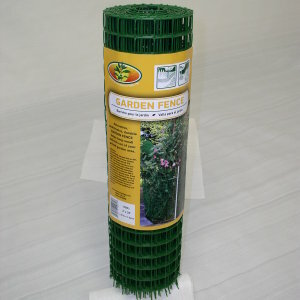 Garden Fence can be used to create a barrier around plants in order to contain and direct their growth. 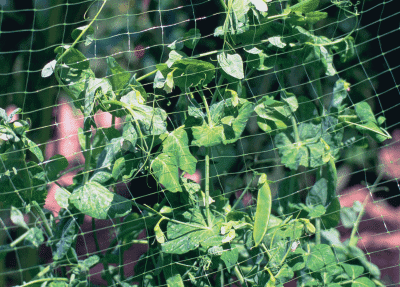 Because of it’s sturdy and durable design, fencing can also add support for plants that need it.